BERLIN — It is, at a glance, an unremarkable street — roughly a quarter-mile long, cutting through a grassy knoll the size of a couple of basketball courts. Yet to Joshua Kwesi Aikins, this street, Petersallee, in Berlin’s African Quarter, strikes a deep emotional blow. In 1939, National Socialists dedicated the street to Dr. Carl Peters, a leader of Germany’s violent colonial efforts in Africa. Germany has long been lauded for the way it has confronted its Nazi history, from issuing formal apologies to paying reparations to victims. But the country’s reckoning with its Nazi past is not as complete as might be assumed, activists and historians say. Germany has yet to come to terms with its violent colonial legacy in Africa, which laid the groundwork for and inspired Nazi atrocities, they say. Running from 1884 to 1918, that colonial history was relatively short, compared with that of other European countries, but still scarring. German colonizers killed tens of thousands during their reign over all or part of modern-day Ghana, Togo, Cameroon, Rwanda, Burundi, Tanzania and Namibia. Street signs and other memorials honoring German colonizers still remain scattered throughout the country. Only a smattering of colonial history is taught in German schools. The government has not apologized for the nation’s colonial crimes, and it only recently started referring to the killings as genocide. Those attitudes appear to be slowly changing. 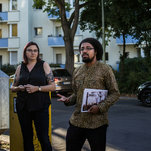 Berlin officials agreed a couple of months ago to rename Petersallee and two other streets honoring German colonizers, much to the delight of activists who have spent years lobbying for the changes. The streets will be named after African resistance fighters. This year, Germany’s federal governing coalition for the first time called for an examination of the country’s colonial history, which includes researching whether African artifacts housed at cultural institutions were illegally acquired during the colonial era. The German government is in its third year of negotiations with Namibia over how to make up for crimes against the former colony, where tens of thousands died under German occupation. Ruprecht Polenz, a former member of Parliament who is representing Germany in the negotiations, said the two sides were closing in on an agreement that could lay the groundwork for an official apology. The agreement would call the German killings a genocide; outline the creation of a foundation to increase social and cultural engagement between the countries; and call for extra support for Namibian communities particularly affected by the genocide with programs that, for example, provide job training, housing and access to electricity. Still, the violent anti-immigrant protests that broke out recently in the eastern German city of Chemnitz have sowed some doubts over how much the nation has actually learned from its past. To many activists, the racism formed during the colonial era laid the foundation for the racism that the country is still struggling with today. Colonial-era Germans set a brutal example for the Nazis to follow. At the beginning of the 20th century, a German general, Lothar von Trotha, issued an extermination order for the Herero, a native people of what is now Namibia, using a tactic that resurfaced decades later: concentration camps. In addition to the tens of thousands of deaths in Namibia, at least 100,000 East African resistance fighters known as the Maji-Maji died in a war to defend their territory against German forces. German colonizers took skulls and human remains from Africa back to Germany for research, using a junk science that claims to be able to judge personality, intelligence and other characteristics by the shape of one’s skull. That also became part of the racist Nazi ideology. Arguments over eradicating old relics fall on questions of history and racial meaning. Black-led activist groups have been lobbying for years for the renaming of Mohrenstrasse, or Mohren Street, in Berlin. Mohren, generally considered a racist insult, is an old German word that refers to dark-skinned people. Those for and against the renaming dispute how the street got its name — either to honor visiting Africans or to belittle those brought as servants to territory that is now Germany. But those who want to keep the name argue that removing it would be akin to erasing history. The name, they say, could be used as a tool to teach about the nation’s colonial past. When the street got its name, in either the late-17th or early-18th century, Brandenburg-Prussia, which was in present day Germany, was profiting from the trans-Atlantic slave trade. But, activists argue, preserving and teaching history can be accomplished without keeping a racist insult in a public space. “People of African descent, African people, were and to an extent are still being considered as less human,” Ms. Ofuatey-Alazard said. Last year, the Nama and Herero sued the German government in federal court in New York, seeking reparations. The case is pending, but the reparations question has been one sticking point in the negotiations with Namibia, Mr. Polenz said. While Germany sees a moral and political obligation to atone for the past, reparations, he said, were a legal remedy that the government did not feel was necessary. He also said the investments Germany was willing to make in Namibia were akin to reparations. The German government recently returned remains stolen during the colonial era to a Namibian delegation. It was the third time Germany has made such a gesture, but it has not been without controversy. Activists criticized the German government for not inviting certain Nama and Herero leaders to the ceremony. The first time Germany returned remains, in 2011, activists taunted a government minister because they were upset that Germany was not also issuing an apology. There remains skepticism that the country will come to terms with its colonial past. Negotiations with Namibia have dragged on for longer than the German government had predicted. Critics have faulted the government for not dealing directly with the Nama and Herero, minority ethnic groups that have been at odds with their country’s leaders over the colonial question.